When it comes to exercises that build and sculpt the muscles, people automatically seem to think of bodybuilding type exercises involving dumbbells, barbells, and complex pieces of machinery and gym kit. Whilst free weights and machines are both extremely effective at packing on muscle, you shouldn’t overlook the importance and the benefits of body weight exercises. Begin by slowly lowering yourself down so that you’re in a standard plank position only lying down prone on the floor. Place your hands a little wider than shoulder-width apart. Lift your body up off the ground by extending both of your arms, making sure to keep your body perfectly straight. Slowly lower your body back down towards the ground by bending your arms. Lower your chest down until it’s an inch or two above the ground and then slowly return to the starting position. There you have it, one of the most simple, easy to perform exercises you could ever wish for and best of all, it works the chest perfectly. 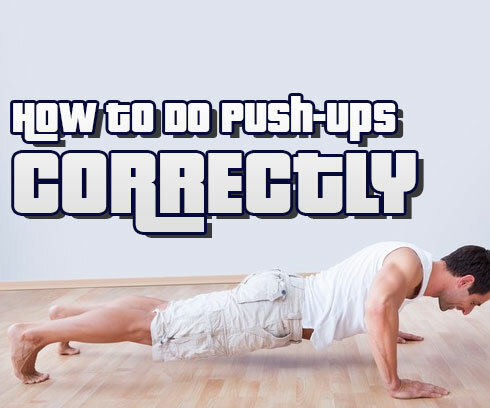 The above is a standard variation of the push up and there are a number of different variations that will work different parts of your body. Take a look at a few slightly different variations of this great exercise. This is ALL i do. I do them all day if i could!